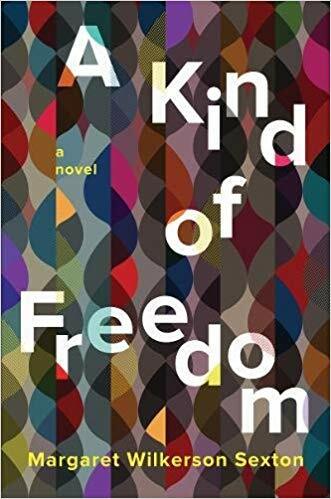 A Kind of Freedom follows the downward spiral of an African-American family in New Orleans, from the 1940s through Hurricane Katrina. The family, anchored by a respected physician and his Creole wife, had occupied the upper echelons of black society in the city. 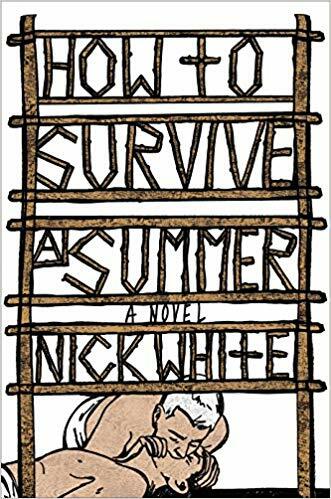 But as each generation journeys through the 1980s and finally to the post-Katrina world, family members – despite never-extinguished hope – succumb to drugs and seemingly implacable futility. Born and raised in New Orleans, Sexton received a B.A. in creative writing from Dartmouth College and a J.D. from UC Berkeley School of Law. Longlisted for the 2017 National Book Award, A Kind of Freedom was named as a New York Times Notable Book of 2017 and a New York Times Book Review Editor’s Choice. 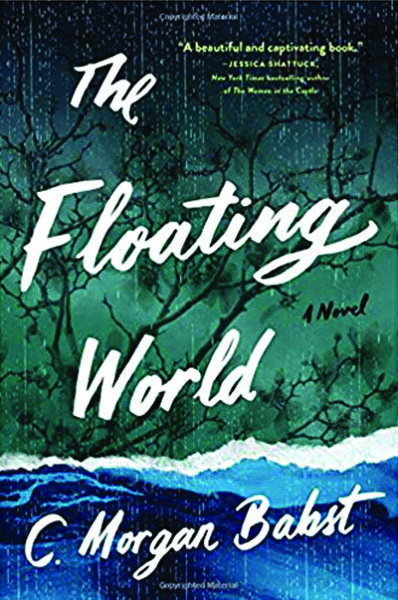 Sexton’s work has been nominated for a Pushcart Prize, and has appeared in the New York Times Book Review, Lenny Letter, The Massachusetts Review, Grey Sparrow Journal, on Oprah.com, and in other publications. 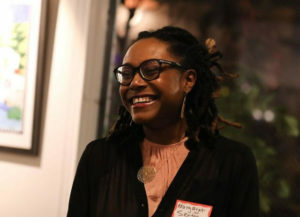 As a recipient of the Lombard Fellowship from Dartmouth, Sexton spent a year in the Dominican Republic working for a civil rights organization. The Crook’s Prize, established as a collaboration between the iconic Southern restaurant, Crook’s Corner Bar & Café in Chapel Hill, NC, and the Crook’s Corner Book Prize Foundation, was inspired by the prestigious book awards long given by famous “literary cafés” in Paris. Submissions are open for next year’s Prize. For details, visit www.crookscornerbookprize.com. 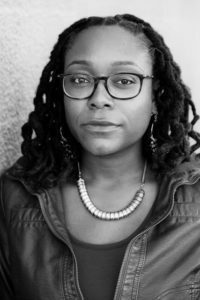 The Crook’s Corner Book Prize, awarded annually for the best debut novel set in the American South, will be chosen this year by Tayari Jones. 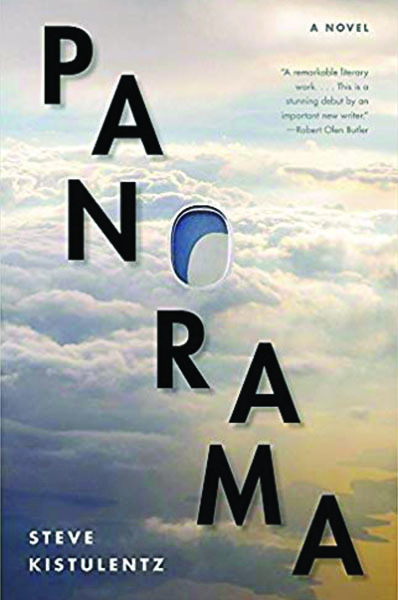 Her most recent novel, An American Marriage, has been widely acclaimed and is a 2018 Oprah Winfrey Book Club selection. 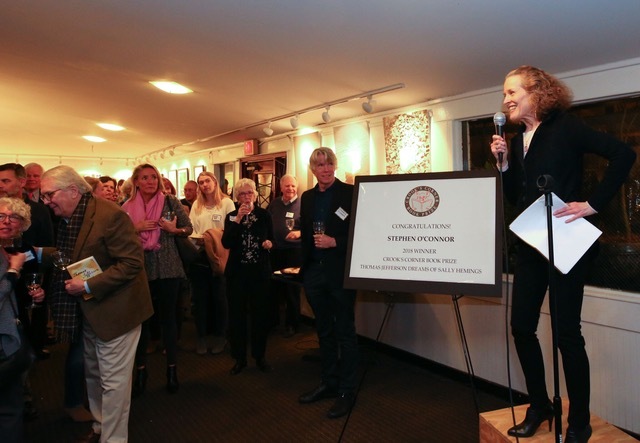 The $5000 prize, inspired by the prestigious book awards given by famous Parisian literary cafés, is co-sponsored by the iconic Southern restaurant, Crook’s Corner Café and Bar, in Chapel Hill, NC. 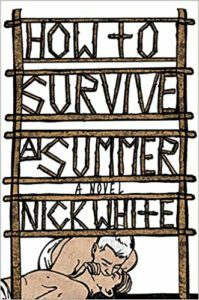 “No one has a tougher time getting published and gaining recognition than first-time novelists,” says Anna Hayes, president of the Crook’s Corner Book Prize Foundation. “Our goal is to offer a timely boost to new talent.” Although eligible books must be set predominantly in the South, the prize is open to writers from anywhere. An updated history of a magically-gifted, African American family whose talents, once used to protect black activists in the 1960s, have led family members along diverse trails since those days. 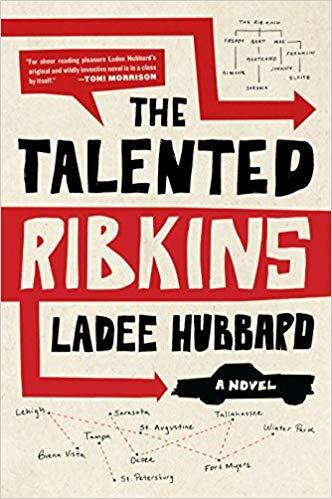 A graduate of Princeton University, Hubbard has a PhD in folklore and mythology from UCLA and an MFA in creative writing from the University of Wisconsin-Madison. A study of three generations of one black family in New Orleans, reflecting the evolving complexities of race in America. Sexton studied creative writing at Dartmouth College and law at UC Berkeley. Born and raised in New Orleans, she lives in the San Francisco Bay Area. 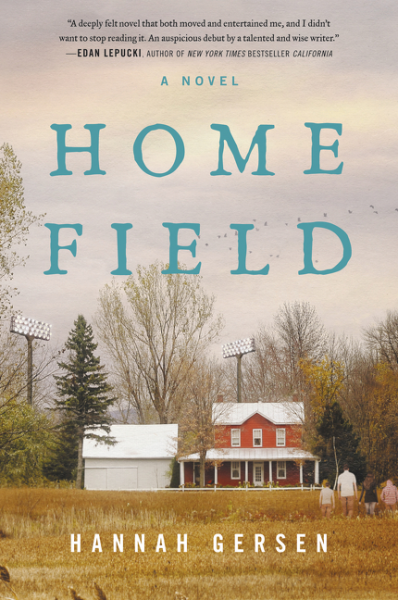 A story of the troubling consequences from a tragic long-ago summer at a gay conversion camp. White, a native of Mississippi, earned a PhD in English at the University of Nebraska-Lincoln. He is an assistant professor of English at Ohio State University. This year’s winner will be announced on January 7, 2019. Media contacts: Cindy Hamel at Cindy Hamel PR 917-544-1793 or cindyhsellars@gmail.com. 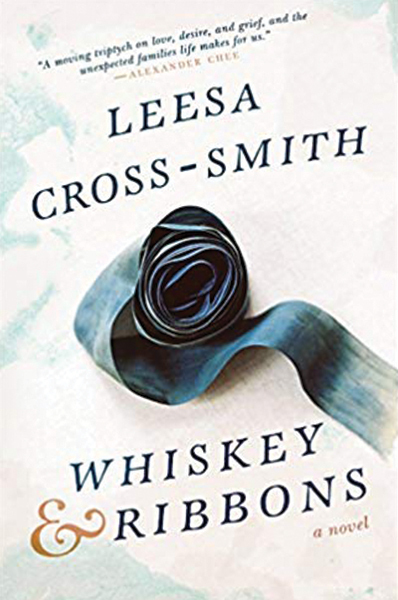 Chapel Hill, NC, January 8, 2018— Stephen O’Connor’s Thomas Jefferson Dreams of Sally Hemings, published by Viking, has won this year’s Crook’s Corner Book Prize for best debut novel set in the American South. 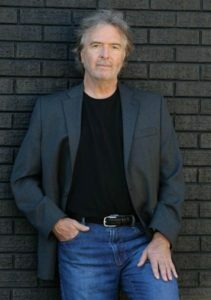 The book is O’Connor’s first full-length fiction. 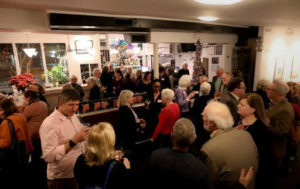 He was in Chapel Hill to accept the award at the announcement party at Crook’s Corner Café & Bar. 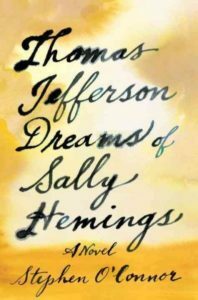 Thomas Jefferson Dreams of Sally Hemings is a contemporary imagining of the connection between Jefferson and the enslaved woman who was the mother of six of his children, provoking questions about how to reconcile his idealistic proclamation that “All men are created equal” with his lifelong ownership of slaves. 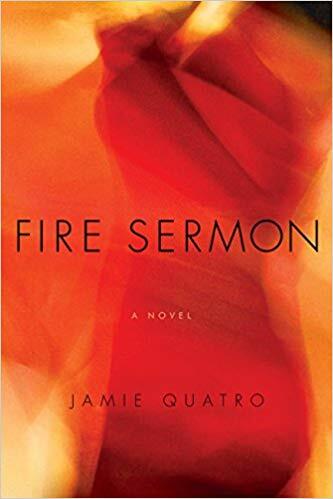 O’Connor’s fictional immersion into the lives of Jefferson and Hemings is informed by meticulous historical research, as well as a mix of fantasy and dreamscape that occasionally transports the characters out of their century and into such venues as the Manhattan subway. 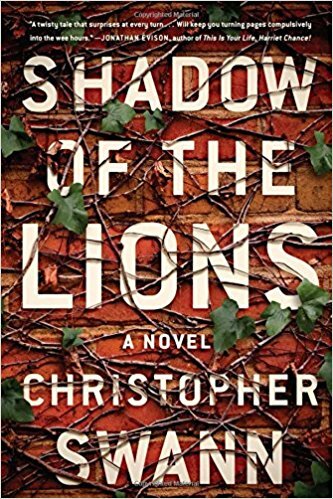 Nothing less than a re-invention of the historical novel, the book is a psychological tour de force, offering possible ways of understanding the complicated link between Jefferson and Hemings. 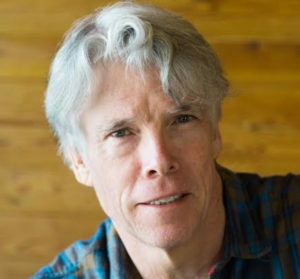 In addition to two collections of short fiction, O’Connor’s work has appeared in The Best American Short Stories, as well as in a broad variety of literary journals, magazines, and newspapers, including The New Yorker and the New York Times. His nonfiction books have explored issues relating to teaching children in inner city schools, and the history of the “orphan trains” of the 19th and early 20th centuries that transported parentless children from New York City to families in the Midwest. 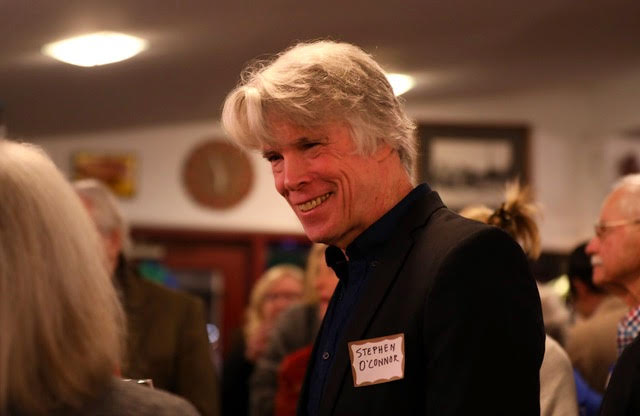 O’Connor currently teaches in the Sarah Lawrence MFA writing program. Elizabeth Cox, this year’s book prize judge, says she was “knocked out by this book,” in which the author’s inventiveness serves to augment “the sense of moral weight carried throughout this story.” Cox is the prize-winning author of poetry, short story collections, and five novels, the latest of which, A Question of Mercy, was published in 2016. The prize, established as a collaboration between the iconic Southern restaurant, Crook’s Corner Bar & Café and the Crook’s Corner Book Prize Foundation, was inspired by the prestigious book awards long given by famous “literary” cafés in Paris. “Our purpose is to encourage emerging writers in today’s challenging publishing environment,” says Anna Hayes, president of the foundation. 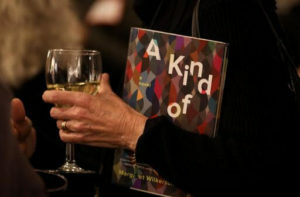 “As far as we know, this is the only café or restaurant-sponsored literary prize in the U.S., but we are hoping to start a trend.” The prize is open to self-published as well as traditionally published authors. Winners receive a $5000 cash prize and, in the tradition of the Café de Flore in Paris, a complimentary glass of wine at Crook’s each day of his/her prize year. 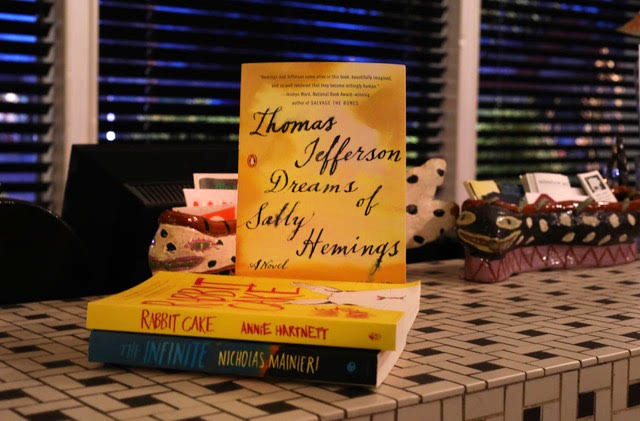 Thomas Jefferson Dreams of Sally Hemings was one of three books on the shortlist, which included Rabbit Cake, by Annie Hartnett (Tin House) and The Infinite (HarperCollins), by Nicholas Mainieri. Previous judges are Jill McCorkle, Randall Kenan, Lee Smith, and Tom Franklin. Submissions are open for next year’s prize. Eligible books must be the author’s first published novel for adult readers, published between January 1, 2017 and May 15, 2018. Regardless of the author’s residence, the book must be set predominantly in the American South. 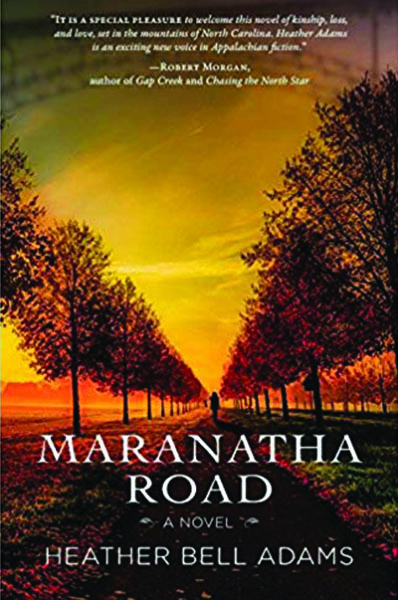 For details, visit www.crookscornerbookprize.com. Charles Frazier grew up in the mountains of Western North Carolina. Cold Mountain (1997), his highly acclaimed first novel, was an international bestseller, won the National Book Award in 1997, and was adapted into an Academy Award-winning film by Anthony Minghella in 2003. Thanks to The Franklin Hotel for providing a room for our winner, Margaret Wilkerson Sexton. 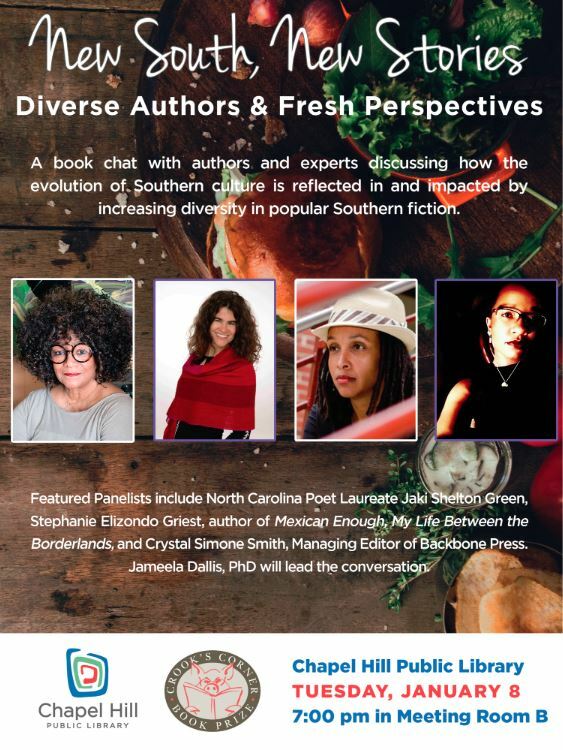 "New South, New Voices: Diverse Authors, Fresh Perspectives."